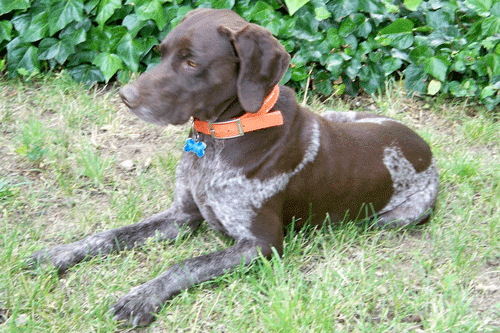 Blue was stolen on Feb. 10, 2013 from his owner’s car while they were at church in the Agua Caliente area. A person was seen wearing a gray hooded sweatshirt and blue jeans, with the hood concealing their face. 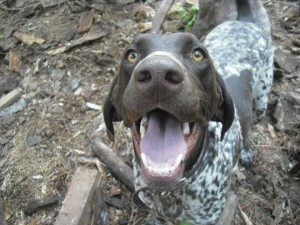 The dog is a neutered male GSP with a brown head and brown and gray patches on his body. He has a microchip, and a 3 inch scar on his left hind leg. He is very obedient. His collar was removed, and ditched on the side of the road. His family misses him very much, and hopes to get him back. Blue is sick, and underweight, and has a very sensitive stomach. Any information leading to his recovery is greatly appreciated and a REWARD is offered for his safe return. If seen, please email or call Cheri at (707) 480-7919, Tom at (707)815-8036 or contact the Sonoma County Sheriff at (707) 565-2121 or Animal Control at (707) 565-7100. Missing since February 10, 2013. 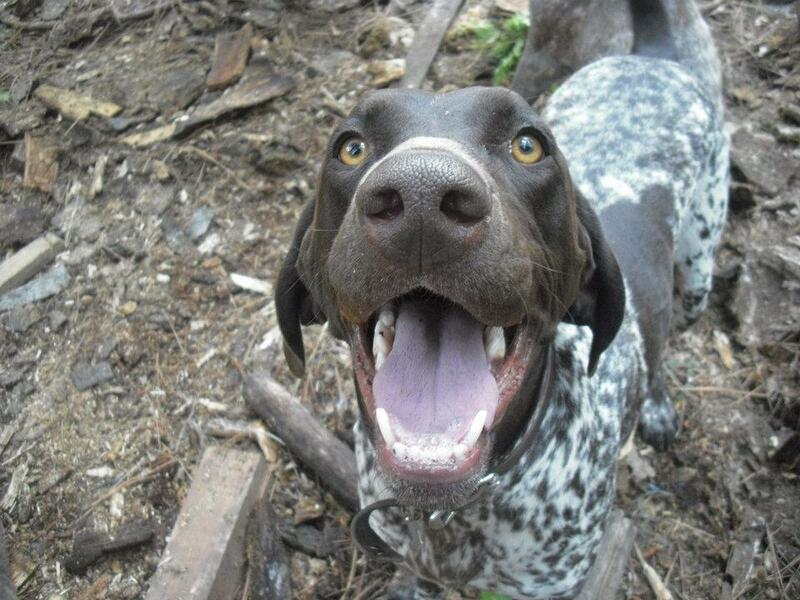 Jake is a 3 year old neutered male GSP. He stands rather tall and has a nice long cropped tail. His liver spots are darker in color. 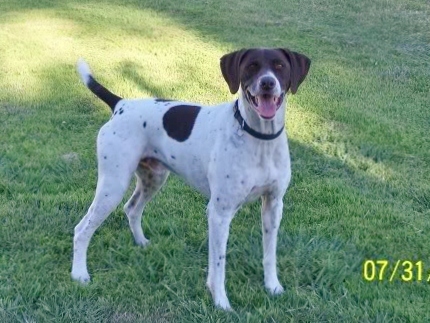 He went missing on Friday 5/18 from the Sonora/Lower Twain Harte area at Longeway/Lucky Strike/Good Shepherd Roads. Jake’s collar came off and he is not microchipped. He does not travel well as he sufers from excessive salivation and vomiting with car/truck rides. Contact Michele at 209-352-2355 or Sam at 209-352-6769 or our home at 209-586-7591 if he has been seen or found. We have had him since he was 8 weeks old, he belong here with us. He has cancer and skin issues that need regular vet care, we are worried about him and want him home so he can get the care he needs. He is not just a dog to our family he is a big part of our family, we just want him home with us. He was not wearing his collar at the time he went missing but he is microchipped so if you have him go have him scanned you will know he is ours. All we want is him to be home with us, our family is devastated and very heartbroken, please do the right thing and return him…we will not stop looking for him as he belongs with his family. Please call (916) 798-6707 at anytime 24/7 if you have information on him. $5,000 REWARD – NO QUESTIONS ASKED, just return him and you will get the reward. We just want him home safely. 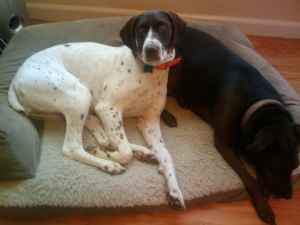 Found June 5, 2013 near Strathmore off of Highway 65. Extremely thin, was probably on her own for a while. 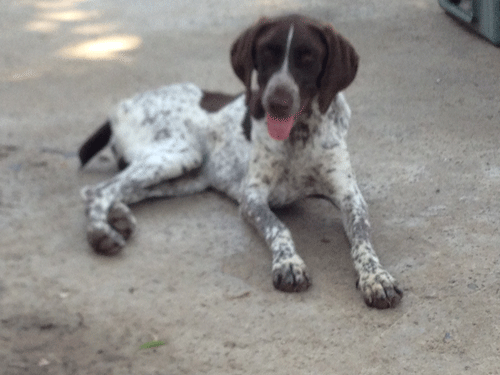 If you believe this is your GSP, please contact ddslrowell@ocsnet.net or call 559-288-5142.